Biotechnology stocks and exchange traded funds have been one of the more disappointing corners of the equity market this year, but that has changed in recent weeks as investors have shelved political concerns to bid biotech fare higher. For example, the SPDR S&P Biotech ETF (NYSEArca: XBI), one of the largest biotech ETFs, is higher by nearly 17% over the past month. However, some investors are displaying the feeling that the recent rally in biotech ETFs might be short-lived. “At least that’s the signal sent by whoever yanked $255 million from the SPDR S&P Biotech ETF at the end of last week, the biggest outflow in 16 months, according to data compiled by Bloomberg. The withdrawal came with a gauge of S&P 500 drugmakers sitting close to the highest level of 2016. Its 19 percent gain over the past five weeks outpaced all the benchmark index’s 67 industry groups,” reports Joseph Ciolli for Bloomberg. XBI is an equal-weight ETF, meaning its exposure to mid- and small-cap biotech names is larger than rival cap-weighted ETFs. 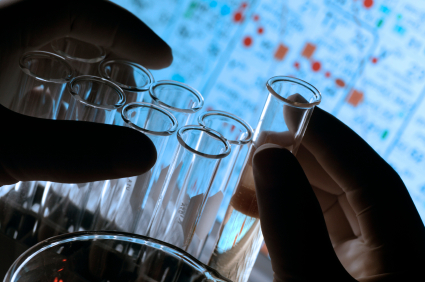 There are pros and cons to equal-weighting biotech stocks. When smaller biotech names surge on drug approvals or takeover news, their rallies can be significant, boosting XBI in the process. On the other hand, when biotech stocks falter, more volatile smaller names are often punished first and in harsh fashion. Investors taking the valuation bet on large-cap biotech could find their way to the iShares Nasdaq Biotechnology ETF (NasdaqGS: IBB), which tracks the Nasdaq Biotechnology Index. IBB, the largest biotech ETF by assets, is heavily allocated to the largest biotech names.